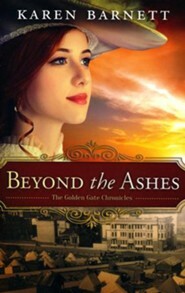 Where better to rebuild and face one's fears than in 1906 San Francisco, a city rising from the ashes? 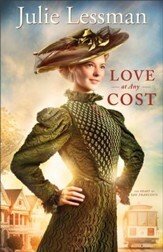 Ruby Marshall, a young widow, is certain that she'll discover new purpose assisting her brother Robert with his cancer research, but she doesn't anticipate finding new love. Dr. Gerald Larkspur dreams of filling his empty home with family, but he's always hoped it would be a wife and children. In the aftermath of the great earthquake, the rooms are overflowing with extended family and friends left homeless by the disaster. When Robert's widowed sister arrives the close quarters seem close indeed. Rudy and Gerald's fledgling romance is put at risk when Gerald develops symptoms of the very disease they're striving to cure. Together they must ask--is it with a second chance at love when time might be short? 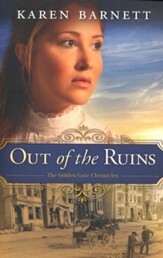 Where better to rebuild and face ones fears than in 1906 San Francisco, a city rising from the ashes? 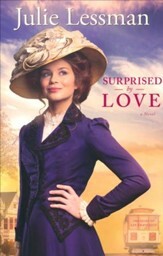 Ruby Marshall, a young widow, is certain shell discover new purpose assisting her brother Robert with his cancer research, but she doesnt anticipate finding new love. Dr. Gerald Larkspur dreams of filling his empty home with family, but hed always hoped it would be a wife and children. In the aftermath of the great earthquake, the rooms are overflowing with extended family and friends left homeless by the disaster. When Roberts widowed sister arrives, the close quarters seem close indeed. Ruby and Geralds fledgling romance is put at risk when Gerald develops symptoms of the very disease theyre striving to cure. 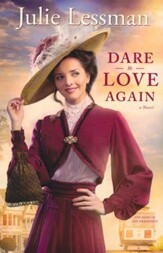 Together they must askis it worth a second chance at love when time might be short? Karen Barnett is the author of Beyond the Ashes, Out of the Ruins, and Mistaken. Named the 2013 Writer of Promise by Oregon Christian Writers, Karen lives in Albany, Oregon, with her husband and two kids. When shes not writing novels, she loves speaking at womens events, libraries, and book clubs. You can learn more at KarenBarnettBooks.com. 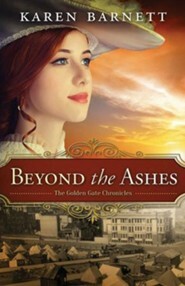 I'm the author/artist and I want to review Beyond the Ashes, Golden Gate Chronicles Series #2.